Arman, Paris, Fernand Hazan, collection "Ateliers d'aujourd'hui"
French Edition : Pierre Horay, with text by Pierre Restany. Arman, Galerie Beaubourg, reprinted from the journal CiMayse, Paris, no. 170, May-July 1984. "Accumulations by Arman", Art in America, New-York, vol. 71, no. 11, December 1983. Arman. 13 peintures / Arthur Rimbaud. Lettres du Voyant, Paris, La différence, collection "Tels qu'en eux-mêmes" (livre publié à l'occasion de l'exposition "Arman. Peintures 87-88", Galerie Beaubourg, Paris, 1988). Arman, Paris, La Différence, collection "Classiques du XXIème siècle"
Arman: Passage a L’Acte, MAMAC, Nice, France, June 14 – October 14, 2001. Arman, Musée des Beaux Arts, Reims, France, May 7 - August 8, 2005. Les inédits: Collection de Jean Ferrero, La Malmaison, Cannes, France, July 8 - January 28, 2007. A Tribute to Arman, Marlborough Gallery, New York, United States, Febraury 2 - March 4, 2006. Arman : No Comment, Galerie Georges-Philippe et Nathalie Vallois, Paris, France, January 20 - February 24, 2006. Arman: Subida al Cielo, Musée d’Art Moderne et d’Art Contemporain, Nice, France, June 30 - October 1, 2006. Hommage à Arman 1928-2005, Galleri GKM, Malmö, Sweden, June 10 -August 26, 2006. Arman, Yeh Gallery, Seoul, South South Korea, December 16, 2005-January 12, 2006. Arman. Photographs Friends, French Institute Alliance Française, New York, United-States, April 18 - May 15, 2007. Arman: Polychromes, Imago Gallery, Palm Desert, California, United States, November 24, 2007 - January 6, 2008. Arman: The Day After, Helly Nahmad Gallery, New York, United States, November - December 2008. The Flowers of Evil Still Bloom, Cueto Project Gallery, New York, United States, November 6, 2008 - January 10, 2009. 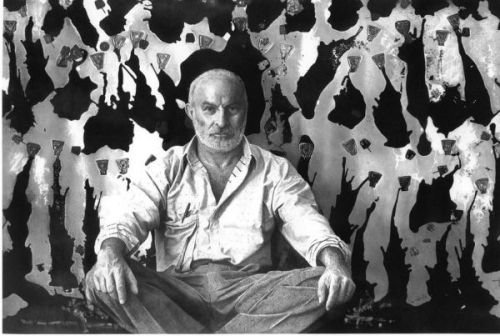 Arman – Painter, Connaught Brown, London, UK, May 18 – June 19, 2008. Arman: Polychromes, Guy Pieters Gallery, Knokke-Le-Zoute, Belgium, March 23 - April 21, 2008. Arman, Palazzo Bricherasio, Turin, Italy, January 25 - February 24, 2008. Look Again, Marlbouough Gallery, New York, New York, January 13, 2010 – February 13, 2010. Arman: Retrospective, Centre Pompidou, Paris, France, September 10, 2010 – January 10, 2011. 50 Artists: A Collection, Fondation Maeght, Saint-Paul de Vence, France, December 17, 2011 – March 8, 2012. Piet and Ida Sanders. A Life with Art, Stedelijk Museum, Amsterdam, Netherlands, June 30 – October 2012. Le Nouveau Realisme, Luxembourg and Daya, London, UK, June 18 - August 11, 2012. Sculpted Matter, Paul Kasmin Gallery, New York, United States, June 21 - August 17, 2012. The Small Utopia: Ars Multiplicata, Fondazione Prada, Milan, Italy, July 5 -November 25, 2012. From Picasso to Koons: The Artist as Jeweler, Bass Museum of Art, Miami, Florida, March 15 – July 21, 2013. Arman: Cycles, Paul Kasmin Gallery, New York, New York, February 28 – April 6 2013. Arman The Collector: The Artist’s Collection of African American Art, Paul Kasmin Gallery, New York, New York, November 11 – January 11, 2014. On The Road, Musée Labenche, Brive-la-Gaillarde, France, December 6 2013 – March 16, 2014. Pop Culture: Selections from the Frederick R. Weisman Art Foundation, Boca Raton Museum of Art, Boca Raton, Florida, United States, January 12, 2014 - April 23, 2014. Art or Sound, Fondazione Prada, Venice, Italy, June 7 – November 3, 2014. Arman: Cascades, Galerie Guy Pieters, Saint Paul de Vence, France, June 15, - July 20, 2014. Zero: Countdown to Tomorrow, 1950s-1960s, Guggenheu Museum, New York, New York, October 10 – January 7, 2015. Sacha Sosno & Les Ecoles de Nice, Musee Regards de Provence, Marseille, France, September 5 2014 – January 11, 2015. Helenna Rubentstein: Beauty is Power, The Jewish Museum, New York, New York, October 21, 2014 – March 22, 2015. Arts and Food, Fondazione La Triennale de Milano, Milan, Italy, April – October 2015. Magnificent Obsessions: The Artist as Collector, Barbican Gallery, London, UK, February 12 – May 25, 2015. ARMAN Accumulations 1960-1964, Galerie Templon, Paris, France, February 27 2015 - April 6 2016.